With profound respect to Your Holiness, the democratic leadership of the Tibetan people, your excellencies, the honorable guests and the Tibetans in and outside Tibet. On the auspicious occasion of oath-taking ceremony of the third Kalon Tripa democratically elected by the Tibetan people, I happily and proudly offer my heartfelt greetings and congratulate to you all. Today is a very special day on which this special ceremony takes place. This is a new chapter in Tibetan history in which a giant step is taken towards a genuine democracy. Today is also a beginning of a future where the Tibetan people will show courage and put great efforts for their common goal. The democratic system we practice here in exile is an example not only to people under occupation but also to others around the world. This will also be a valuable gift to the Tibetans inside Tibet when the time comes for all of us to be reunited in Tibet. From the second century BC to the middle of the twentieth century for most of the time Tibet has been a sovereign independent country. Despite its small population, Tibet has a long and rich civilization with deep spiritual tradition and cultural heritage. Tibet also became a recognizably powerful country in Asia. Especially since the Great Fifth Dalai Lama established the Gaden Phodrang Government in 1642, which has been the legitimate government that ruled the whole of Tibet, the successive Dalai Lamas became the temporal and spiritual head of the Tibetan people to this day. At a tender age of sixteen, His Holiness the Fourteenth Dalai Lama took the political leadership of Tibet from regent Tagdrag Rinpoche. It has been now sixty years since and this has become the longest duration that a Dalai Lama has provided able leadership to the Tibetan people. Despite the fact that this has been the hardest and the most testing period in Tibetan history, His Holiness the Dalai Lama's charisma and the leadership has brought the Tibetan issue to the forefront of the international stage. Though His Holiness the Dalai Lama, since the very young age, had the strong desire to introduce democratic system, the external circumstances did not allow him to do so when he was in Tibet. Immediately upon his arrival in exile, His Holiness the Dalai Lama set up the democratic institutions and continued to educate the Tibetan people about democracy and its culture. Irrespective of the general public's political maturity, His Holiness the Dalai Lama initiated the adoption of Charter for the Tibetans-in-Exile and introduced the processes to elect Sikyong or political leadership directly by the people, which ultimately brought to a complete democratic system for the exile Tibetan community. His Holiness the Dalai Lama's vision and unceasing guidance for the last thirty years to build a democratic Tibetan polity, that is not dependent on him, has finally achieved. This is a great moment for all of us. Your Holiness, the Kashag would like to offer our gratitude from the deepest bottoms of our hearts for your incomparable leadership during the hardest time in our history. Your Holiness has provided us the longest leadership and that your temporal and spiritual achievements far exceed the combined deeds of all the thirteen previous Dalai Lamas. 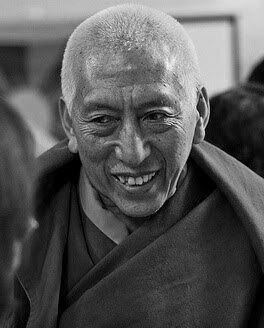 Particularly, we will never be able to repay your kindness for introducing the democratic system, devolving your power to the elected Tibetan leadership and handing over the legitimate Tibetan government founded 369 years ago by the Great Fifth Dalai Lama to the democratically elected leaders. We are deeply indebted to Your Holiness for your consistent and immensely compassionate guidance during the tenure of the 12th and 13th Kashag. We would like to pay our sincerest gratitude and at the same time ask your forgiveness for our inability to fulfill all your wishes. Your Holiness, you are the Fourteenth Dalai Lama and the undisputed leader of the Tibetan people in and outside Tibet, and as a result Your Holiness has the full moral, political and legitimate authority to devolve all your powers and responsibilities. The devolution of your power and the transfer of your responsibilities were carried out according to appropriate legislative procedures, and there is no space for doubts and questions about the timeliness of the transition and the legitimacy or legality of the Central Tibetan Administration. The Kashag would like to emphasize here that a few people who raise doubts and scorn at Your Holiness' visionary democratic steps to benefit the Tibetans should not be taken seriously by anyone. Today's transition is from an older generation who lack modern education to a new generation having excellent modern education. This is not only a special occasion that the Tibetans should record in its annals in golden letters but also a beginning of making a new history for our common future. Therefore, my colleagues and I would heartily like to congratulate Dr. Lobsang Sangay and offer our prayers that under your able leadership the situation of the Tibetan politics, administration and the community will move forward to attain great progress. There is no doubt that the issue of Tibet will be resolved sooner or later if the policies and plans in tune with His Holiness the Dalai Lama's vision are followed. On the contrary, if other paths are followed, then it is difficult to predict the future destiny of Tibetan people. Taking this opportunity, my colleagues and I would like to express our heartfelt gratitude to all Tibetans in and outside Tibet for their continued support during the tenure of the twelfth and thirteenth Kashag. We would like to urge you to provide the same support to the fourteenth Kashag as well. We regret for our inability to fulfill all the aspirations of the general public. Finally, I pray for the long life of His Holiness the Dalai Lama and the spontaneous fulfillment of all his wishes. May the issue of Tibet be resolved and the day of reunification of Tibetans in Tibet and diaspora may come at the soonest. I now handover this 260-years- old seal, which signifies the legitimacy of the Kashag. The Seventh Dalai Lama bestowed this seal to the Kashag, when he re-established Kashag in 1751. Note: This is the English translation. Should any doubt arise, please consider the Tibetan version final and authoritative.